Leather furniture can age well compared to other types of furniture. It is durable and can last long if looked after correctly. Durability of leather can be prolonged considerably if it is properly maintained. 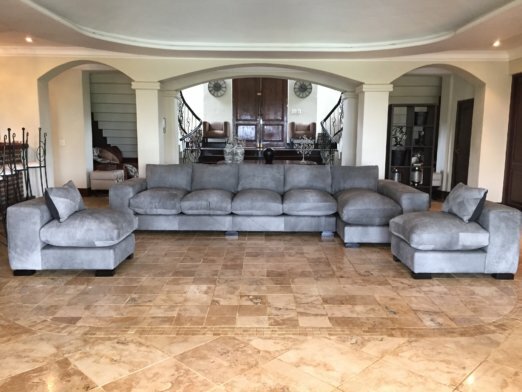 Dyed leather furniture can last 25-35 years under the right conditions. Proper care preserves and prolongs function as well as personality, which a new piece of furniture can never imitate. Grease, perspiration and perishable substances will penetrate the leather and accelerate degradation, draining the natural preserving substances of leather (antioxidants), which prevent purification. To keep leather free of grease and dirt regular maintenance is necessary. On account of fat liquoring (softening) in the retaining process leather contains approx. 8-10% natural pure fats. 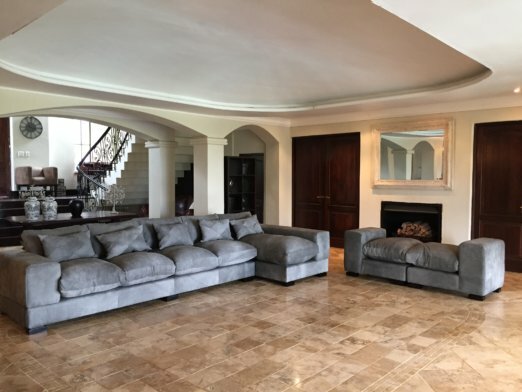 Leather furniture is to be cleaned regularly – once a year is probably ideal and with brand new furniture, a minimum of three months after purchase. Placing the leather furniture so it is not exposed to direct sunlight or direct halogen bulbs will help preserve it. These light sources will cause your leather to dry out and fade. Placement away from radiators and other heat sources to prevent acceleration of dehydration is necessary. There are several ways to maintain leather correctly and there are several wrong ways. Below is a summary of the don’ts. If too fatty caring agents are applied too often, the surplus fat may discolour the leather, or result in cracking of the finished surface. This looks like wear but is in reality a result of surplus fat settling between the finish and the leather. Too frequent care wears the leather. Do not scrub leather and do not dry in direct sunlight. The water in the leather will actual “boil”, causing damage. Do not Scrub leather – dab stains gently. Avoid using or placing sharp objects on leather goods. Leather is very durable, but not accident or damage proof. Avoid air pollution such as cigar or cigarette smoke and cooking fumes, which can cause leather to fade or changes colour. Weekly: Dusting your leather furniture weekly is very important to keep leather pores free from dust particles. Simply wipe it with a soft cloth. Don’t underestimate this seemingly small task; it goes a long way in the long term care of your leather. Spot cleaning: As always, the quicker you get a spot or stain the greater success you will have. Most food or beverage spills should be wiped up using a damp cloth with a light detergent soap, such as liquid hand soap. 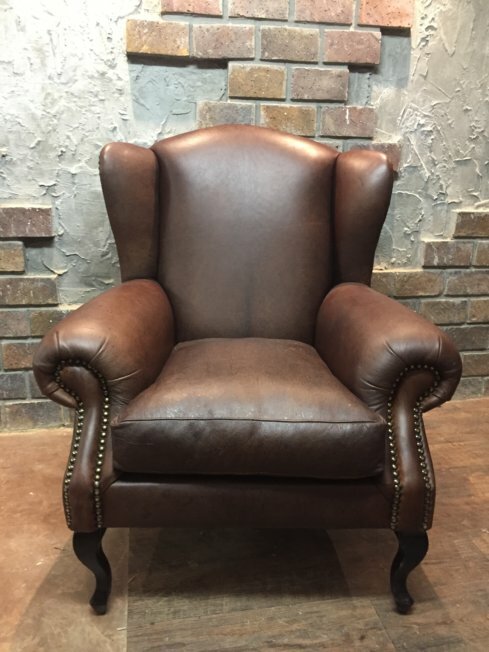 Six monthly: When you place your new leather furniture be sure to use a high quality conditioner/preservative to protect it and keep the leather supple. You should clean your leather furniture fully twice per year using quality cleaner. Pay special attention to wear surfaces: arms, backs and seats. After a thorough cleaning always re-apply the conditioner/preservative to ensure many years of trouble-free service from your leather furniture. Sponge gently until grime and stains are absorbed. All other marks such as ink marks, grease, blood, urine, wax or gum should be removed using professional leather cleaner. Just follow the instructions that come with the product. It is a good idea to have good leather cleaners on hand so that you will be able to address the problem immediately after it happens. Remove Stains: Fresh stains from things such as blood and food can be cleaned up quickly with a damp cloth if they have not penetrated the leather. Stained oil or grease can be lifted by grinding ordinary blackboard chalk, sprinkling the area, and leaving the powder on for a 24 hour period. Resist the urge to run the powder in. After a sufficient time has passed, simply use a leather care brush to remove the powder. While fresh stains can be treated and cleaned at home, ground-in stains should be attended to by a professional cleaner who deals in leather.